When Melissa noticed Piper’s Facebook post, her heart sank. 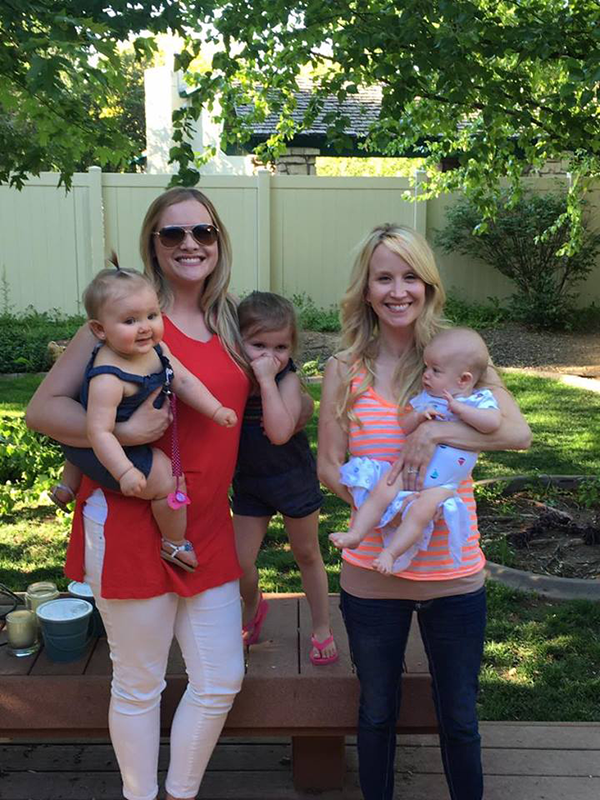 Melissa had known Piper for years – they were friends in California before Piper had moved back to Idaho to be near family. 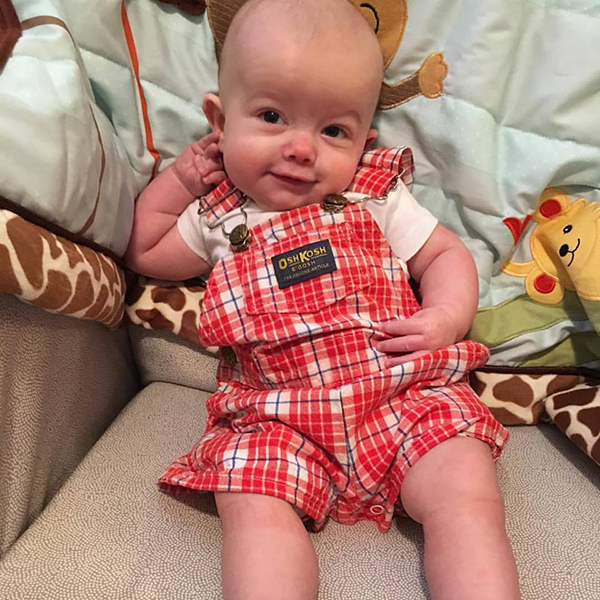 Piper had just posted an adorable picture of her baby boy, Grayson, who was diagnosed with Krabbe, a leukodystrophy disease. 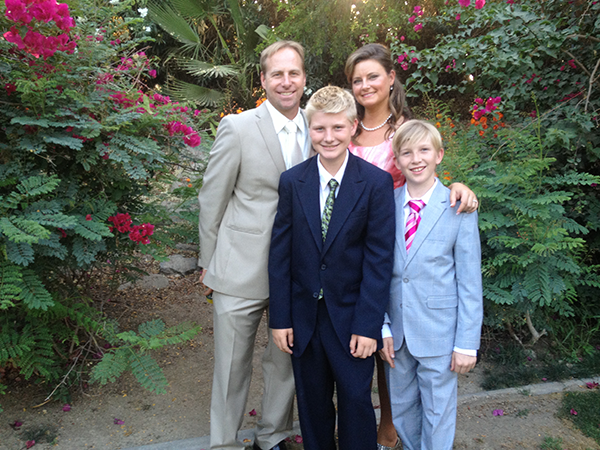 When Melissa looked up the disease, her heart dropped even more. Krabbe destroys the protective coating of nerve cells in the brain and nervous system, with degenerative symptoms starting around 6 months old … and death following around age 2. Melissa Taylor knew right away what she wanted to do – help Piper and her family get through the journey ahead. As an Origami Owl® Designer, Melissa had always loved helping people share their stories through Living Lockets – and this time the story would be of comfort and hope. 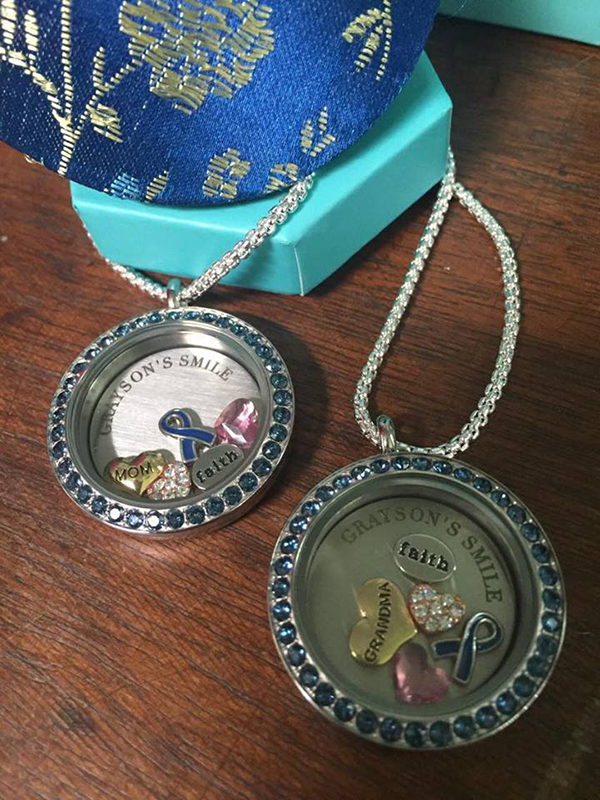 Melissa put together two lockets with a custom Inscription plate that read, “Grayson’s Smile.” She also included the Faith Heart Charm, the Mom / Grandma Heart Charm, a Blue Ribbon Charm, the Rose Gold Heart Charm, and a Swarovski Birthstone. She then sent them off to Piper and her mother, Lana. Melissa was thrilled to hear the lockets meant a lot to Piper and her mom, but she didn’t want the support to stop there. With a stem cell transplant and extensive care on the way for Grayson, she knew the costs would be mounting for Piper’s family. She decided to start a campaign of her own. She has opened an Origami Owl Jewelry Bar fundraiser in honor of Grayson. She is donating all of her commissions to Grayson’s family, and she wants to use the opportunity to raise awareness for Krabbe. “It’s something people haven’t heard about, but early testing for Krabbe is important, because by the time most babies are diagnosed, the disease has already progressed too far for treatment. Although the disease is not preventative (because it’s genetic), if testing is done before or at birth, treatment can stop the disease’s progression. This includes chemotherapy to kill the ‘bad’ cells affected by the disease, followed by a stem cell transplant, with the hope that the child’s body accepts and replicates the new healthy cells. If treated early enough, children can go on to live a fairly normal life. But the problem is, only a couple states include the Krabbe test in the newborn screenings they’re already giving at the hospitals. I’d love to help be a part of changing that, with the help of Origami Owl,” said Melissa. Melissa joined Origami Owl a couple years ago “on a whim,” because she loved the jewelry. She then fell in love with the company’s mission to be a Force For Good. “I started doing fundraisers for things like friends’ teams and the baseball club,” said Melissa. “But I really found my passion with this. I want to help Piper. I want people to know about Krabbe. 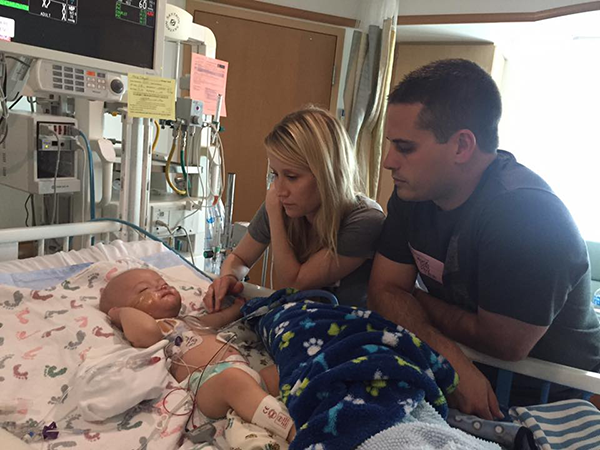 I want there to be more screenings.” Lending her heart and soul to this cause, Melissa will keep the fundraiser open for several months (she’s excited to have reached one milestone already – raising enough to cover the cost of one month’s worth of insurance for Grayson). Melissa shared another exciting piece of news – Grayson’s aunt, Meagan Simpson, has been so touched by the outpouring of support from Origami Owl customers that she decided to join Origami Owl as a Designer herself! She’s also dedicating commissions to help Grayson’s family cover the costs of his care – so the Origami Owl love is spreading! At Origami Owl we’re grateful for Designers like Melissa and Meagan who are a Force For Good, lifting hearts and making a difference for others. To follow Grayson’s journey, visit facebook.com/graysonssmile. To help with Grayson’s cause, visit gofundme.com/graysonmorse. To learn more about Krabbe disease and participate in Krabbe Leukodystrophy Awareness Month every September, visit www.ulf.org. 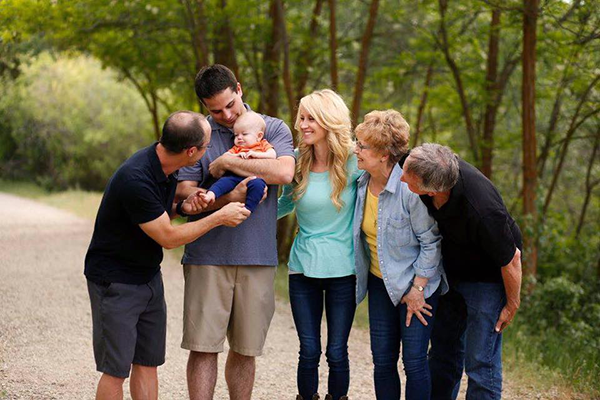 Thank you to Rachel Zenor of Rachel Zenor Photography and Scott Headrick for capturing these beautiful images of the Morse Family.